Friendster looks set to be sold to an Asian company for more than $100 million (£60m) in the coming weeks, according to a major news source. 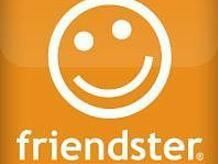 Friendster is one of the earlier social networks, founded in 2002 ahead of giants like Facebook and MySpace. With 100 million users it remains a big social network, with a huge proportion of its traffic coming from Asia. Reuters, citing a unnamed source, suggests that the deal will be done before the end of the year, with CEO Richard Kimber stating: "We have a shortlist at this point that we are negotiating with." Friendster was created by Jonathan Amrams in 2002 in California, but within three years the Western world was looking elsewhere, and Asians became the prevalent users. Kimber was formerly Google's regional Managing Director for South Asia, and was brought in for his expertise in the region.